In cotton (Gossypium hirsutum L.) agriculture, very loose soil results in reduced seed emergence and stand establishment because the contact between soil and seed is deficient. Therefore, the use of a planker before planting may help firm seedbeds and improve stand establishment. The objective of this study is to determine the effects of different pass numbers of the planker on soil bulk density, moisture content and cotton seed emergence. Also, weed species and plant growth parameters were determined in the study. The five treatments including different soil planking levels (P0, untreated control; P1, one pass of planker; P2, two passes of planker; P3, three passes of planker; P4, four passes of planker) was compared by using completely randomized block design with three replications. The results of the study indicated that while the soil bulk density and moisture content was increased with increasing the pass number of planker, multi-pass of planker significantly reduced seed emergence rate and SPAD value. The highest seed cotton yield per plant was found at P1 (one pass of planker) treatment. Also, soil planking levels affected the weed species and the density of this species. Control plots (P0) had higher weeds species than other treatments. In conclusion, the findings of this research suggest that multi-pass of planker may reduce seed emergence and cotton yield although it increases the moisture content at 0-10 cm soil depth which has positive effect on seed emergence, under the soil and climate conditions like the experimental field. Pamuk (Gossypium hirsutum L.) tarımında, toprağın fazla gevşek olması, tohumun toprakla temasını azalttığı için bitkinin çimlenmesi ve çıkışında düşüşlere neden olmaktadır. Bu nedenle, bitki çıkış oranını ve gelişimini artırmak için ekim öncesi tarlaya en az 2-3 kez tapan çekilerek, toprak bastırılmaktadır. Bu çalışmada, tapanın farklı geçiş sayılarının, toprağın hacim ağırlığı, nem içeriği ve tohum çıkış oranına etkisinin belirlenmesi amaçlanmıştır. Ayrıca, çalışmada yabancı ot türleri ve bitki gelişim parametreleri belirlenmiştir. Beş farklı tapan geçiş sayısının (P0, kontrol; P1, tapanın bir defa geçişi; P2, tapanın iki defa geçişi; P3, tapanın üç defa geçişi; P4, tapanın dört defa geçişi) denendiği çalışma, tesadüf blokları deneme desenine göre, üç tekerrürlü olarak yürütülmüştür. Çalışmanın sonuçları, tapan geçiş sayısındaki artışın, toprak hacim ağırlığı ve nem içeriğinde artış meydana getirdiğini, fakat bitki çıkış oranını ve SPAD değerini önemli ölçüde azalttığını göstermiştir. En yüksek bitkideki kütlü pamuk verimi, P1 uygulamasında elde edilmiştir. Ayrıca, tapan geçiş sayısının, deneme alanındaki yabancı ot tür sayısını da önemli düzeyde etkilediği görülmüştür. Kontrol parsellerindeki yabancı ot tür sayısının daha yüksek olduğu gözlenmiştir. Sonuç olarak, bu denemenin sonuçları, ekim derinliğindeki toprağın nem içeriğini olumlu yönde etkilemesine rağmen, aynı iklim ve toprak koşullarında tapanın birden fazla geçiş sayısının bitki çıkış ve veriminde düşüşlere neden olabileceğini göstermektedir. Berti MT, Johnson BL, Robert AH (2008). Seeding depth and soil packing affect pure live seed emergence of cuphea. Industrial Crops and Products. 27: 272–278. Bewley JD, Bradford KJ, Hilhorst HWM, Nonogaki H (2013). Seeds: Physiology of Development, Germination and Dormancy. 3rd ed. New York: Springer, pp 392. Chen G, Weil RR, Hill RL (2014). Effects of compaction and cover crops on soil least limiting water range and air permeability. Soil Till. Res. 136, 61-69. Falkoski Filho J, Batista I, Rosolem CA (2013). Sensitivity of cotton cultivars to soil compaction. Semina: Ciências Agrárias 34: 3645–3654. Gemtos TA, Lellis T (1997). Effects of soil compaction, water and organic matter contents on emergence and initial plant growth of cotton and sugar beet. J. Agric. Eng. Res. 66(2): 121-134. Johnston AM, Lafond GP, May WE, Hnatowich GL, Hultgreen GE (2003). Opener, packer wheel and packing force effects on crop emergence and yield of direct seeded wheat, canola and field peas. Can. J. Plant Sci. 83: 129–139. Lipiec J, Stcpniewski W (1995). Effects of soil compaction and tillage systems on uptake and losses of nutrients. Soil Tillage Res.35:37-52. Mamman E, Ohu JO (1998). The effect of tractor traffic on air permeability and millet production in a sandy loam soil in Nigeria. Ife J. Tech. 8(1): 1-7. Montemayor MB (1995). The effect of soil compaction during planting on cotton emergence. 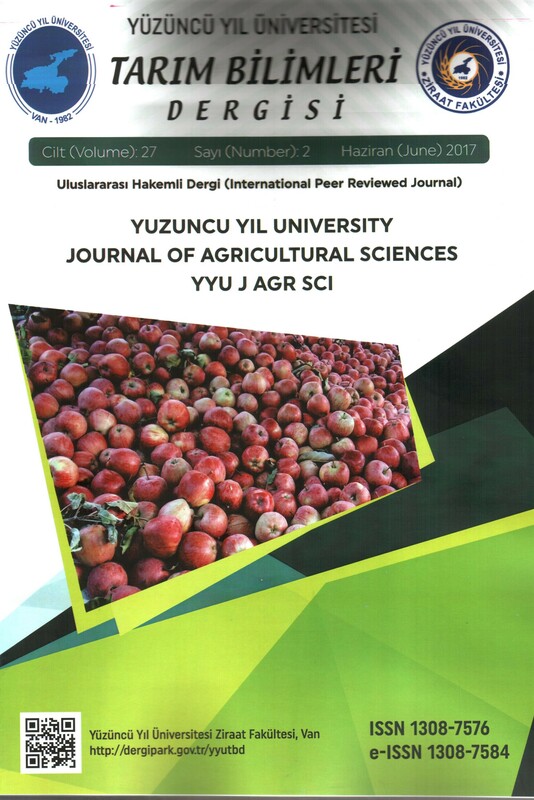 Journal of Agric. Eng. Res. 61:129-136. Parlak M, Özaslan Parlak A (2011). Effect of soil compaction on root growth and nutrient uptake of forage crops. Journal of Food, Agric. Env. 9 (3-4): 275 – 278. Sadras VO, O’Leary GJ, Roget DK (2005). Crop responses to compacted soil: capture and efficiency in the use of water and radiation. Field Crops Res. 91 (2–3): 131-148. Silva SD, Alves JM, Mesquita GM, Leandro WM (2012). Effect of soil compaction on shoot and root development of Jatropha (Jatropha curcas L.) and crambe (Crambe abyssinica Hochst). Gl Sci Technol 5: 87–97. Smet SDE, Damme PV, Scheldeman X, Romero J. (1999). Seed structure and germination of cherimoya (Annona cherimola Mill.). Acta Horticulturae, The Hague, 497: 269-278.